If we talk about partner channel mindshare a lot in this blog, it’s because it’s critically important and yet a factor many vendors overlook -or underestimate- to their own detriment. Aside from situations where you have locked-in dedicated partners, it’s vital for a vendor to always remember that there will be competition for the time and attention of partner-level sales staff. The vendors who come out on top are usually going to be those who find the best ways to incentivize their partners. One of the most common ways to do this is the ever-popular Sales Performance Incentive Fund, or SPIF. Or, just plain “bonuses.” Set sales targets, and pay out a SPIF to whatever partner or salesperson who performs the best. It’s simple, it’s direct, and it’s effective… but other options exist. It's key to diversify your sales incentives strategies rather than relying on SPIFs alone. Are SPIFs Really So Spiffy? Fundamentally, it’s paying partners to do what they’re already supposed to be doing. They can become “addictive” because partners/staff who become accustomed to receiving a lot of SPIFs will be very unhappy if they go away. They can become divisive within the channel, or even within specific partner companies. There’s a danger of people feeling “left out” and getting resentful. Now, this is not to say SPIFs are always bad. If you’re looking to heavily push a new product, or clear out old inventory, a SPIF is probably one of the best options on the table. The problem comes when SPIFs are the only tool in a company’s incentive toolbox. At that point they start getting increasingly costly, and expected by partners and their staff. This works at the partner management level. If they buy 100 widgets, they get a 5% discount; if they buy 500 widgets, they get a 10% discount, and soforth. Sure, this is basic economics-of-scale stuff, but if you lay it out specifically as an incentive program and promote it properly, you can encourage higher sales. A company like Hawk Incentives (whom we partner with) can set you up with a fully self-branded website that allows partner employees to earn points based on performance, which they can then use to “purchase” a variety of physical or digital goods online. These can be particularly effective since you can use the points to incentivize a wide range of activities, with point payouts based on desirability. Rather than charging for training or higher levels of certification, as some do, why not tie it to performance instead? It allows your partners and\or their staff to demonstrate who really wants to excel in your ecosystem, by offering them opportunities to excel further or get exclusive access to better products\services based on their certifications. Don’t forget about the power of the pulpit. Another good partner-level reward is giving them a prominent place on your website as a “Featured Partner” or similar, along with some good press and information about them as a company or key employees. This could potentially push a lot of new leads their way! In short, there are a lot of ways you could build effective channel incentive programs that don’t simply involve handing out money via SPIFs all the time. A broader and more diverse incentive strategy will help keep you out of the SPIF trap, while offering more alternatives for engaging your partners. 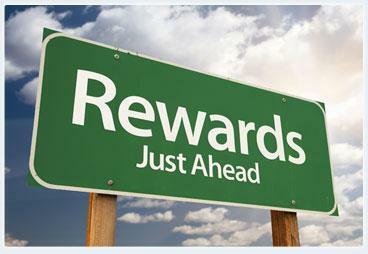 To learn more about us, and incentive program best practices, contact us today!